Are you looking for fun and adventure or to relax and take it easy these April School Holidays? 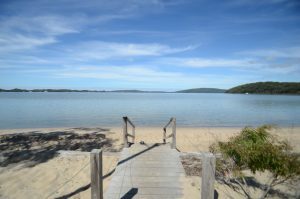 Whatever your pace, Coalmine Beach Holiday Park is the perfect destination. With a variety of accommodation styles available, from camp sites to Chalets and Luxury Tents, the choice is yours. Fire pits are scattered around the Park making it easy for everyone to toast their marshmallows. There is an abundance of native bush attracting kangaroos, possums, kookaburras and blue wrens. The Beautiful Walpole-Nornalup National Park surrounds our town of Walpole. With Inlets for kayaking, secret fishing spots aplenty around the inlets, calm waters for stand up paddle boarding and more. Walking and riding trails including the Bibbulmun Track to explore. What’s not to love? So pack the tent, pack the bikes and give us a call today. April is often the most beautiful time of the year to explore Wonderful Walpole.